I just wanted to tell you how much we have appreciated the care that you have given to our children, Kinslee and Jaxson. Kinslee talks non-stop about Miss Tracie and how much she really enjoys being in her class. It will be hard to find someone that takes care of our children as well as you staff at Kid’s Kingdom does. Saying that, we are giving our two week notice. Jerome is in the process of getting out of the Military after nine years of service and we will be on our way to Kansas. We wish we could bring you all with us!!! Thank you again for everything you have done for our family. We truly have been blessed to have such good people care for our children!!! Kid’s Kingdom is such a warm and inviting place. The girls can’t wait to get there in the morning to see their friends and teachers. Even though my 2 year old has graduated from the toddler room, she still has to stop and give the teacher a hug each morning. It’s so wonderful to be able to feel so comfortable when I leave my children there. I cannot tell you how much I have appreciated Kid’s Kingdom and everyone there. Cody went to two other pre-schools before we found Kid’s Kingdom. At each one of those, after two weeks he did not want to go any longer. That was never the case at Kid’s Kingdom. I think there’s only been two times in all the months we have had him there, that he has not wanted to go. I have noticed a lot of positive changes in Cody since he has been at Kid’s Kingdom. He has learned more than I would have ever thought, and has had a blast interacting with other kids and making friends. For those things I am truly thankful. I feel confident that when Cody starts kindergarten in August he will be fully ready for both the educational work, and social interactions and aspects of school; thanks in part, to Kid’s Kingdom. We are looking forward to graduation on April 24th, and it will be with some sorrow that we cross off Cody’s remaining days at Kid’s Kingdom on our calendar. We use the calendar daily. Cody knows what it is and does. Thanks so much for providing my son with a clean, loving environment where he was able to learn and play and be a happy 5 year old boy. We are very pleased with the daycare and meeting the needs of our child. You guys are great! Putting our child in a public facility after being in an “in-home” daycare was a huge adjustment for both the child and us as parents. The transition was very smooth and pleasing. Thank you for being the second home to our child and meeting every need, not just the physical but the emotional as well. This letter serves as a recommendation for Kid’s Kingdom a Family owned daycare. 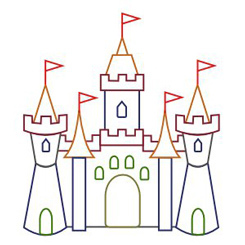 As a working mother it’s hard to find a place that can provide a comfortable and secure environment; however, we found that place with Kid’s Kingdom. We have been customers since 2007 just a few months after the daycare opened. My son attended and completed the pre-school program. In 2010 my newborn daughter was in the infant room and is now in the pre-school program. Knowing how hard it is to leave your newborn, I was able to call anytime during the day to check up on her. Rayleen was wonderful about easing my worries that she was fine and having a good day. We have been very pleased with all the staff and the facility. The wonderful ladies in the infant room have seen both my children grow up. I always feel safe leaving my children every day and know they will be well taken care of. My daughter looks forward to seeing her friends and teacher every morning. Many times when I pick her up she isn’t ready to go because she is having so much fun. I believe the discipline and structure of the program is very good. The center is very clean. The kids are well fed and the teachers do a wonderful job with the students and show respect for everyone. I would recommend Kid’s Kingdom to anyone looking for child care. I would like to thank you for everything you have done for our family. The girls have loved their teachers and everyone at the facility. We are extremely grateful for the wonderful care you have given them and can only hope that their next venture will be as happy as this one has been. Kid’s Kingdom has a wonderful, warm and inviting atmosphere. The staff is always energetic and friendly; which filters right down to the kids. My daughter has been able to learn all kinds of skill sets from; gross motor like running and riding a bike to fine motor skills such as painting. Some of these skills are taught in open play sessions while others are done in a classroom setting. Either way it is wonderful to see her grow thru the stages. Kid’s Kingdom surely has helped my daughter develop into the bright little girl that she is! I feel confident leaving her in the care of Kid’s Kingdom. The only thing I do not care for is that we have to pay cash. It has been said this is to reduce costs, but for someone who never has cash it is an extra step at pick up or drop off time each week to remember to make. My children and I really miss this day care that turned into family. I always felt safe about leaving my children with them and had no issues. Celebrating some of our children's Birthdays this month!Happy Birthday!! !